Anyways, my hubby and I spent a delightful morning yesterday checking out the sites at our local arts market. Here's the logo with the name, but if you are a local, we simply call it the RAM. Lots of really neat stuff there. I could have spent a good bit of money. One thing I did buy from a really sweet lady (we talked a good while about what kind of sewing machine I should purchase next) were these Bird-E Towels. Here's a neat picture I found on her etsy site. And here's a shot (from her site again) of them all stacked up and tagged. I love her new logo! 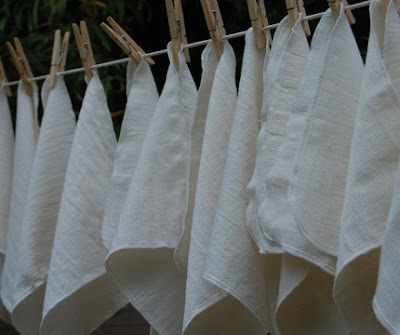 I've been using barmop towels for quite a while as a way to reduce my paper towel usage. I really like them, but I am finding that after a bit of time, they tend to shred and leave lots of little fibers hanging around. 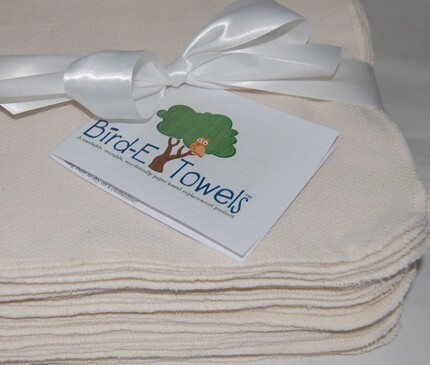 Kerri assured me that these towels were super absorbent, fast drying and strong. I can't wait to try them out. I also picked up a set of flannel cloths that I will use to tuck into lunchboxes instead of paper napkins. My youngest has been carrying a cloth napkin everyday in her lunch this year (she does not like the hot lunches at school so she brings a lunchbox almost every day) but I noticed they seem a little big for proportions. I think this size will be perfect. Your blog is so beautiful! Wah! I want a beautiful blog, too. Thanks for mentioning me here. I got a huge kick out of it. 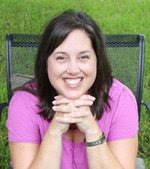 Will add you to my list of blogs to follow. If you have trouble with your machine, just give me a hollar. And remember...never underestimate the power of using the right needle for the job...and change them frequently.